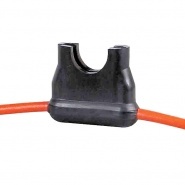 Eight way through panel mounting blade fuse carrier, 6.3mm blade terminal cable connections, supplied without fuses. 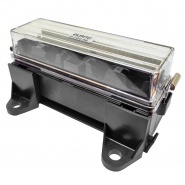 Standard blade or spade type automotive fuse holders, fuse holders to create a single in-line circuit protection or a holder that can create a bank of holders. 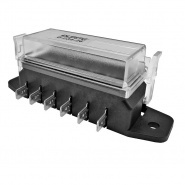 Fuse box options for panel mounting include four, six and eight-way versions and add-a-circuit holders to add an additional fuse into a bank. 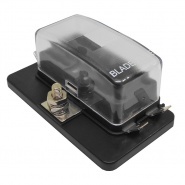 Standard blade fuse box four way, 6.3mm blade terminal cable connections, 2 hole fixing, fuse holder supplied without fuses. 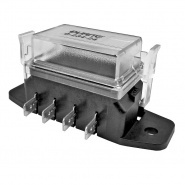 Four way standard blade fuse box, 6.3mm blade terminal cable connections, 2 hole fixing, fuse holder supplied without fuses. 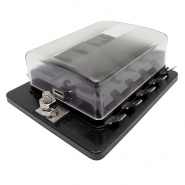 Fuse box for standard blade fuses, holder for blade or spade fuses. 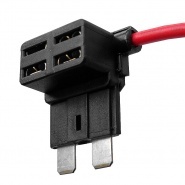 4 way, four fuse positions with a common busbar for input. 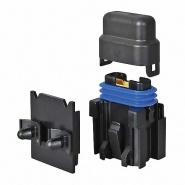 Fuse box for standard blade fuses, holder for blade or spade fuses. 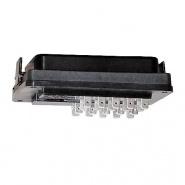 6 way, six fuse positions with a common busbar for input. 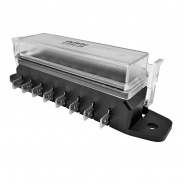 Fuse box for standard blade fuses with LED indicators to show blown fuse, 10 way, ten fuse positions rated to: 150A. 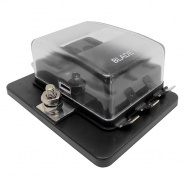 Sixteen way standard blade fuse block, complete with cable terminals, locking tabs and protective cover. 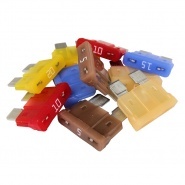 Pack of 10, standard blade fuse holders 6.3mm blade terminals, can be clipped together to make a multiple fuse block. 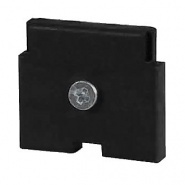 Pack of 10 Durite mounting plates for blade fuse holder part number 0-376-00. 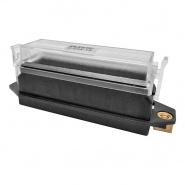 Splash-proof holder for standard automotive blade fuses, supplied with silicon cable seals and bulkhead mounting plate. 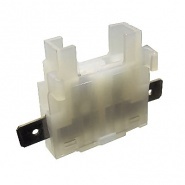 Ten panel mounted blade fuse holders. 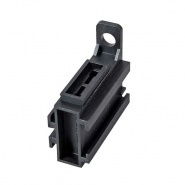 22mm by 11mm hole required, 6.3mm blade terminals, maximum fuse rating 30A. 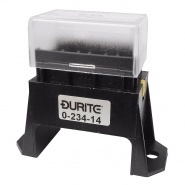 Durite standard blade fuse holders with flying leads, maximum fuse rating 30A continuous. 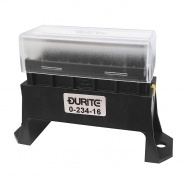 Durite splashproof inline standard blade fuse holder with flying leads, maximum fuse rating 30A continuous. 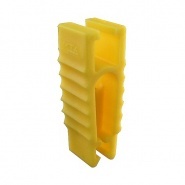 Pack of 10 standard blade fuse removal tool, used for removing the blade fuse in a fuse box where fuses are tightly stored. 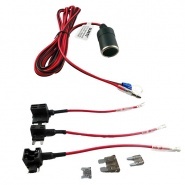 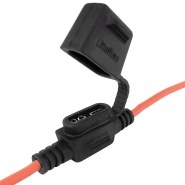 Power to your CCTV kits or Dash Camera with no stray wires. 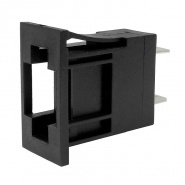 Simply attach to the fuse box and insert your CCTV plug.